R. Venkataramanan is the Managing Trustee of the Sir Dorabji Tata Trust and is responsible for management and oversight of all the Tata Trusts. The Tata Trusts are public charities and are the principal shareholder of Tata Sons, the parent company of the Tata Group, India’s largest conglomerate. 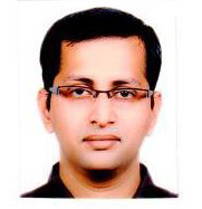 Venkat is a Science graduate and has done his MBA from the Sri Satya Sai University. He is also a Law Graduate from Mumbai University and has completed his Advance Management Program (AMP) from the Harvard Business School.